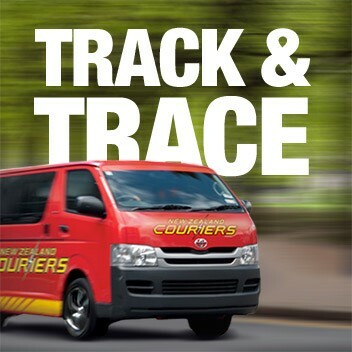 Our courier partner for overnight deliveries and economy services is NZCOUIERS. Part of their offer is full reporting and visibility of services and have a 99% delivery success rate. As part of this service you get an email sent to your nominated email address with a tracking number on collection of your parcel from our factory. This tracking number and link enable you to check the status of delivery at any given time with an update at every scan point. Once collected our team can add little to no value to tracking your delivery as they will be using the same tracking number and online tracking facility provided to you. At 11am daily we do receive a report showing a collated view of all deliveries and the appropriate status for each. Again this is the same information you can access online using the tracking details provided. In the event that a delivery has not been made by 12h30 the following day when being couriered on an overnight service please feel free to ring the team who will then lodge a query with the depot for investigation. You have a choice - If you believe that your existing courier service might be better suited to your needs please feel free to let us know that you will arrange your own deliveries. As New Zealand's leading courier company, we've been helping Kiwis get their deliveries sorted for over 50 years - right around the country and the globe. We're proud to serve the local communities we work in, ensuring their business and personal sending needs are met, taken onboard and expertly delivered. Our difference is simple, we don't just deliver packages, we deliver reliability. Logistics is about more than A to B. It's about getting the details right each time, every time and doing it a little better each time. This is why our network and service is market leading, we have over 50 years of continual improvement and development invested into our network, making us New Zealand's most experienced courier provider. Because we built the network ourselves, we have the advantage of greater flexibility and influence. This is why, while one of the largest NZ courier companies, we can still offer an agile and individualised service in which your parcel never leaves our control. Logistics is about more than numbers too. But it certainly helps when your service is backed by the right figures. With 70 trucks, 5 cargo planes, 22 branches and over 500 couriers our overnight delivery covers 99.9% of NZ, with business delivery in the main centres by 9:30am the next working day. We also provide over 1000 same day local and regional services and a comprehensive, cost-effective international freight service. Behind every successful business, there's usually a bunch of dedicated, committed people, and we're proud to say that we have some of the best in the industry working to deliver for you. Our people know their stuff and they're experienced in what they do - many of our team have been with us for more than two decades, so we must be doing something right! We believe in keeping things personal. So when you call us, you'll almost always speak to someone at your local branch. They'll know the area - and possibly even you! You'll receive service from a dedicated team of freight professionals that are part of your community, with the backing of a nationwide team of over 1200 down-to-earth passionate people behind them to get you sorted on time, every time.